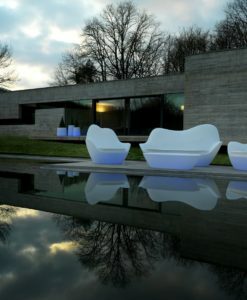 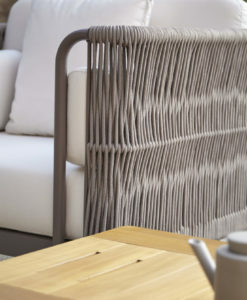 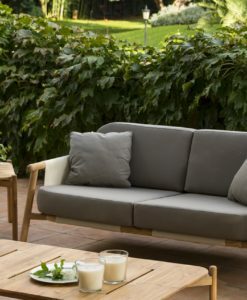 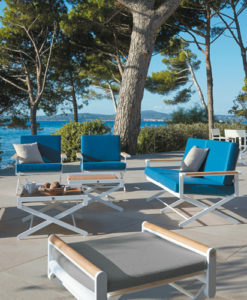 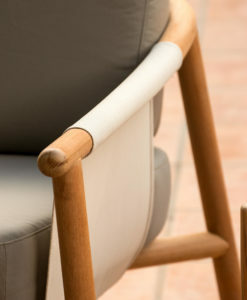 Yasmin, is a Contemporary teak and fabric collection. 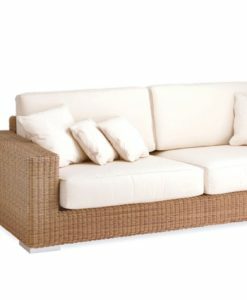 2 & 3 Seater Sofas, beautiful and carefully design with weaves made of teak and fabric. 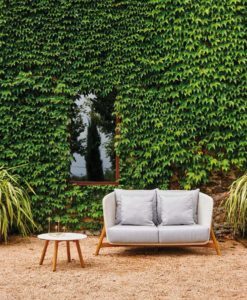 Choose from a 2 seater sofa and club chair if you have limit space this collection is perfect for small areas. 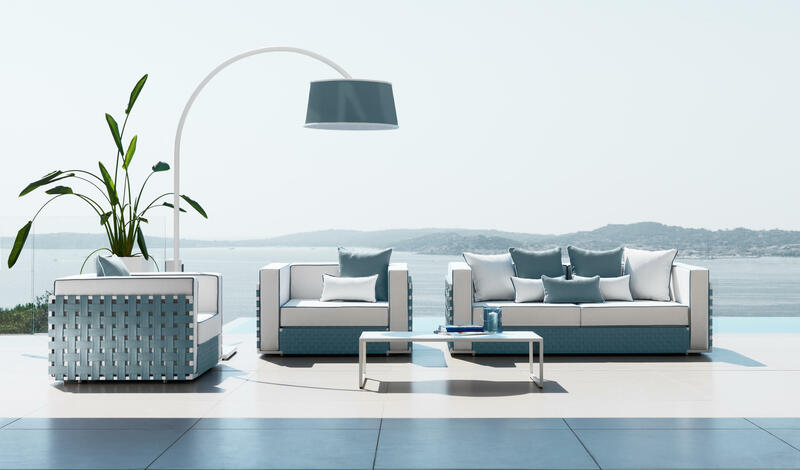 With pretty summers colors this collection would make any outdoor space pop choose from light blue or green. 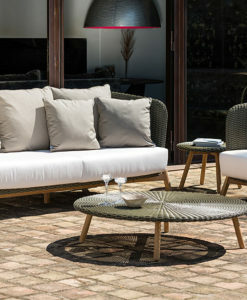 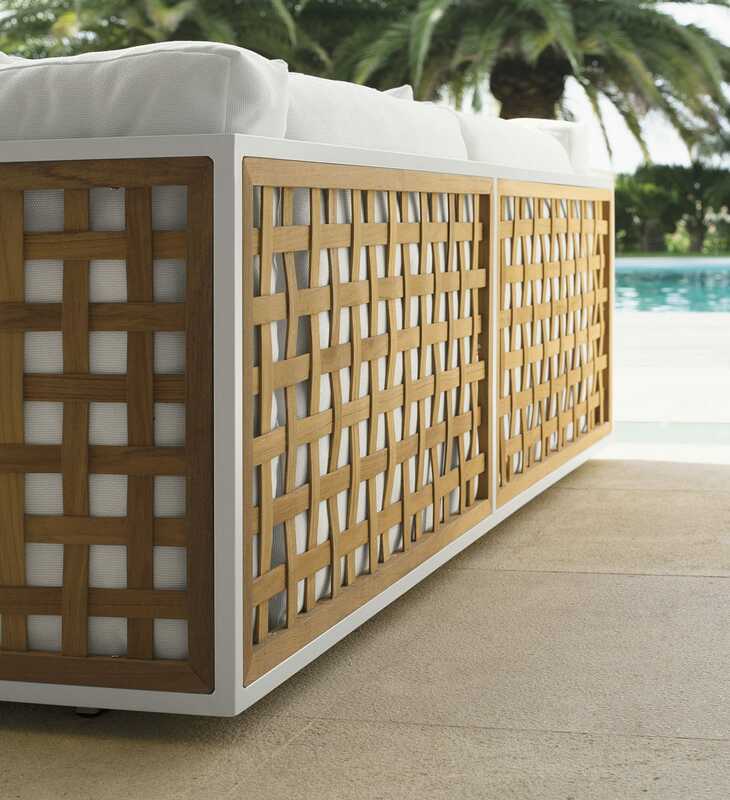 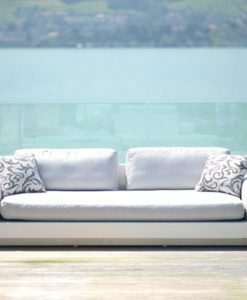 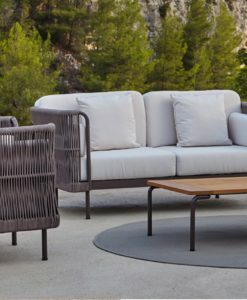 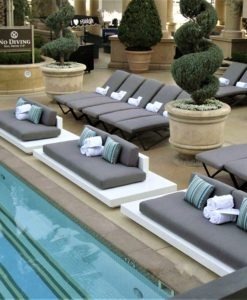 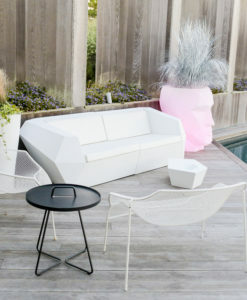 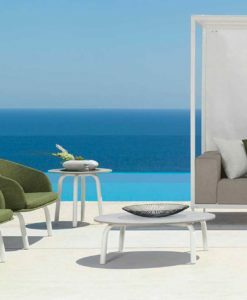 Yasmin has everything you need to create a stunning outdoor space with removable covers easy to wash and weather resistant quick dry foam padding. 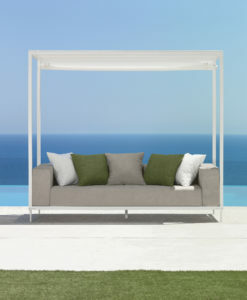 White powder coated frame, with white sunbrella fabric available only for the teak wave. 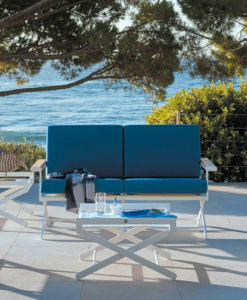 White powder coated frame for the light blue wave & white sunbrella fabric. 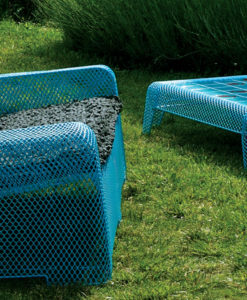 Dove powder coated frame for the green wave & antique ecrù fabric. 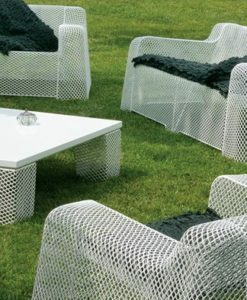 This collection also comes with matching Club Chair & coffee table.